United States Federal law requires that SmartVox provide 911 service to our customers. However, you have an important role to play in this process. To find out what it is, please read this page very carefully. 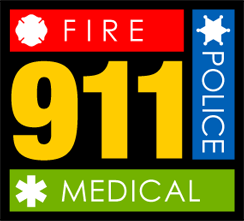 SmartVox provides Enhanced 911 (E911) service that allows our customers to dial 911 from their desk phones and be connected to a local Public Safety Answering Point (PSAP, commonly referred to as a “911 center”). VoIP service offers unique challenges to providing address and contact information to PSAPs when a 911 call is made. We require our customers to register their primary telephone number with our E911 system so that proper location information can be sent to the PSAP in case of a 911 call. The FCC requires that this information be obtained for each physical location within a customer’s business where SmartVox phones are installed. Each location requires one phone number to be designated as the emergency number assigned to that location. If you have multiple locations, office, buildings, or do business in multiple cities, you will require more than one registration. If you have a large building at a single location, you may also want to do multiple registrations (for example, an “east door” and a “west door”) if that will assist emergency teams in responding to a call from your facility. This form must be filled out multiple times if registering multiple locations. Fields marked with an asterisk (*) on this form will be displayed on the 911 operator’s screen when an emergency call is made from this location. If your organization has multiple locations, this form must be filled out for each physical location within your company, and each location must list a unique phone number. Multiple buildings, sites, or cities count as multiple locations. This number will be used to identify the specific address and location to send first responders to. If you have multiple locations or buildings, each one must use a unique phone number and you must submit multiple requests. Please include street number and name, city, state, and zip code. If there is a building number, suite, floor number, or other identifying information, please include it here.